Fenix TK47 Tactical Duty Kit includes the essentials for this heavy duty light: TK47 Tactical Duty Flashlight, Qty of 2 18650 Rechargeable Batteries and a 2-Bay Battery Charger. See below for more details on each product. 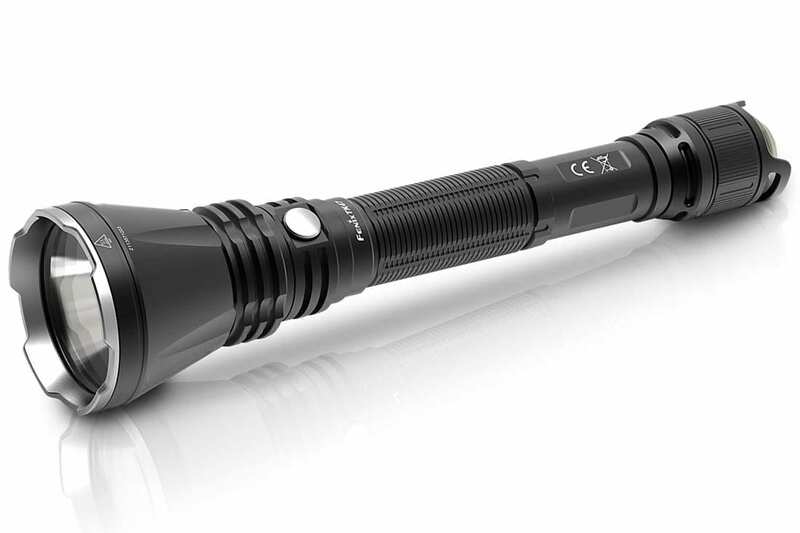 Very happy with this type of flashlight to see long distances. The only thing I would like to see in this type of model is an upgraded version with more lumens. But this is still a great flashlight. I only own a couple of different brands of higher-end flashlights, but Fenix lights are simpler and easier to use. The TK47 is very versatile, functioning well for every day uses like walking around in a dark house (I use the back-end light for that), as well as for longer distance outdoor applications. And, it is both light and durable. The thin handle makes it easier than my other large lights to hold and point. While I do have brighter lights, they generally have switches where the function is different depending on how fast or how far you click it, which takes some practice to get right (and it’s hard to get it right in the dark when you just wake up for something). Good job, Fenix!